What Does Dr. Oz Say about Garcinia Cambogia as a Powerful Weight Loss – Diet Supplement? Well, Garcinia Cambogia hit the public with a bang when a famous TV doctor (see the original video above) called it “The ‘Holy Grail’ of weight loss!” That is quite a claim – so let’s explain just a bit further. IntelliNutrients - USA stepped into the weight loss arena and created a Garcinia Cambogia product that has the highest standardized amount of the main weight loss ingredient that comes from the Garcinia Cambogia fruit – HCA or Hydroxycitric Acid. 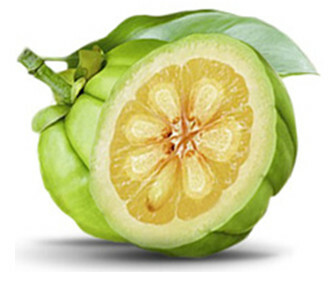 Naturally grown Garcinia Cambogia is safe to take and has been proven effective in clinical studies. But, a problem begins when manufacturers attempt to put out an inferior product and reduce its effectiveness. NON-Standardized Garcinia Cambogia has very low amounts of Garcinia Cambogia and will essentially make a Garcinia Cambogia product ineffective. According to nutrition.com, “Standardization is a process some dietary supplement manufacturers use to make sure each batch of a product is the same as far as dosage and quality. The United States Food and Drug Administration doesn’t require dietary supplements to be standardized so you can NOT always be sure that what’s in the bottle matches what’s on the label.” AS SUCH, you will find many Garcinia Cambogia diet supplements to be NON-standarized and you cannot be sure of how much HCA is ACTUALLY part of the product. A NON-standardized amount of Garcinia Cambogia can literally mean a small sliver of HCA which will NOT be enough to create the desired results. FORZÁ is both standardized AND standarized to the highest level – 75% HCA. Taking Forzá Garcinia Cambogia 75% helps prevent your body from turn Carbs into Fat, instead turning it into Energy. This results in a faster metabolism and increased energy. 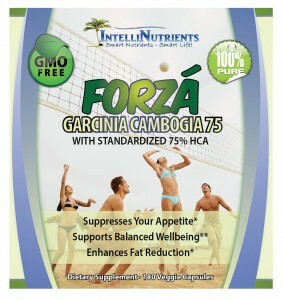 Forzá Garcinia Cambogia 75% works by blocking enzymes and preventing the formation of these fatty deposits. In essence it not only burns fat we have stored, but also prevents more fat from forming. The exciting new breakthrough in natural weight loss is an ingredient with the initial HCA, that lets you lose weight without diet and exercise! HCA inhibits the citrate lyase enzyme in your body which is known to be an important compound in your body’s process of converting excess carbohydrates into fat. This results in Forzá becoming a carb blocker and Fat Burner - preventing fat production and increasing energy at the same time. The natural HCA in Forzá Garcinia Cambogia 75% increases brain serotonin levels, a neurotransmitter involved in appetite control, which reduces emotional food cravings and decreases the urge to consume calories. HCA also helps manage your stress hormones (cortezole), which further prevents emotional issues like binge-eating, mood disorders, and provides better sleep. 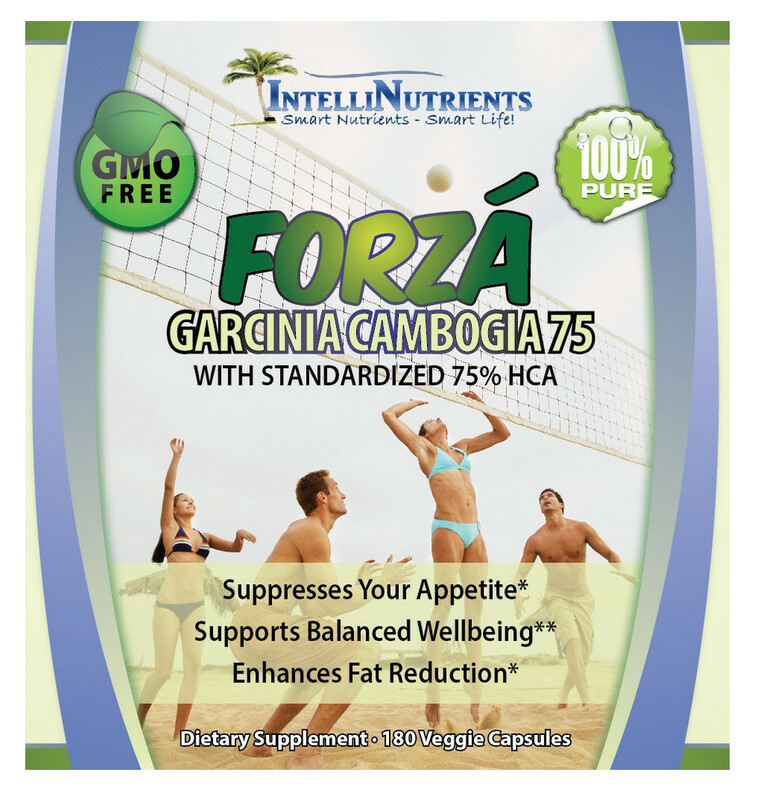 The best part about Forzá Garcinia Cambogia 75% is it can work on its own! One product designed to help you lose the unwanted pounds. No more searching, wasting time and money on what will knock off the unwanted belly fat and more. 8 Wildly Simple Tips to Shed Your Unwanted Pounds – Quickly!